Anthony, D. W. (2010). 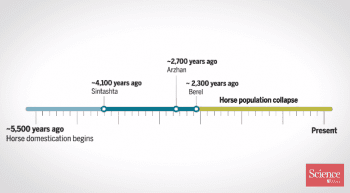 The horse, the wheel, and language: how Bronze-Age riders from the Eurasian steppes shaped the modern world. Princeton University Press. Anthony, D. W., & Brown, D. R. (2011). 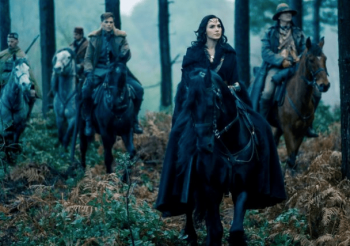 The secondary products revolution, horse-riding, and mounted warfare. Journal of World Prehistory, 24(2-3), 131. Outram, A. K., Stear, N. A., Bendrey, R., Olsen, S., Kasparov, A., Zaibert, V., … & Evershed, R. P. (2009). 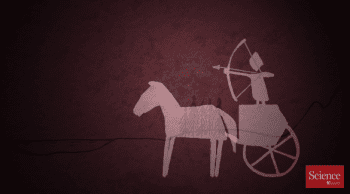 The earliest horse harnessing and milking. 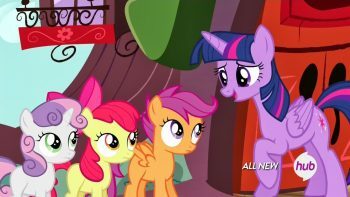 Science, 323(5919), 1332-1335. Schubert, M., Jónsson, H., Chang, D., Der Sarkissian, C., Ermini, L., Ginolhac, A., … & Fumagalli, M. (2014). 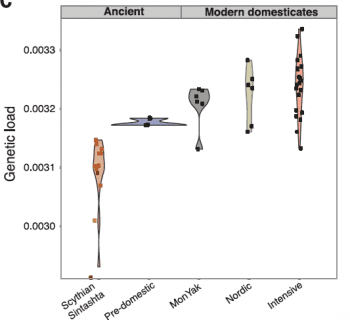 Prehistoric genomes reveal the genetic foundation and cost of horse domestication. Proceedings of the National Academy of Sciences, 111(52), E5661-E5669. Librado, P., Gamba, C., Gaunitz, C., Der Sarkissian, C., Pruvost, M., Albrechtsen, A., … & Serres-Armero, A. (2017). 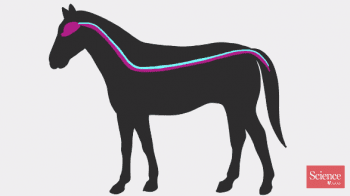 Ancient genomic changes associated with domestication of the horse. Science, 356(6336), 442-445. Wilkins, A. S., Wrangham, R. W., & Fitch, W. T. (2014). The “domestication syndrome” in mammals: A unified explanation based on neural crest cell behavior and genetics. Genetics, 197(3), 795-808. Librado, P., Der Sarkissian, C., Ermini, L., Schubert, M., Jónsson, H., Albrechtsen, A., … & Mortensen, C. D. (2015). 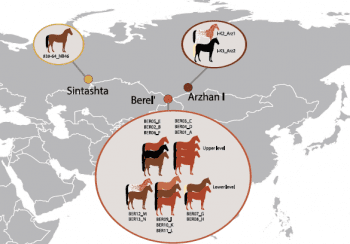 Tracking the origins of Yakutian horses and the genetic basis for their fast adaptation to subarctic environments. Proceedings of the National Academy of Sciences, 112(50), E6889-E6897.